almonds or pine nuts into a skillet and stir over medium heat until the nuts turn a shade darker. Brush chicken breasts with oil; season with salt and pepper. Grill chicken on charcoal, gas or stovetop grill until done. Allow to rest for 10 minutes. Divide greens among 4 salad plates. Top with remaining raspberries, blueberries, pistachios, and feta cheese. 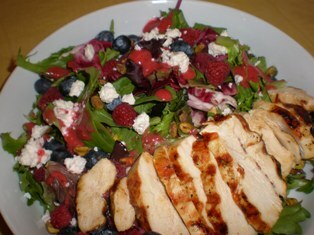 Drizzle the salad with some of the raspberry dressing. Slice the chicken breasts and place one breast on each plate. Pass remaining dressing with salads. 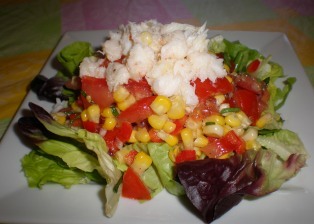 This salad combines some of the flavors that we associate with summer; fresh corn, ripe tomatoes, fragrant basil, and tender crab meat. As an alternative to the crab, add some grilled shrimp or chicken strips. 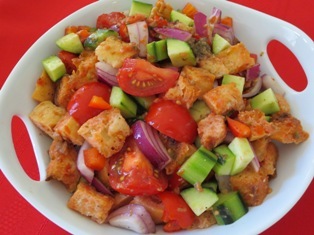 In a bowl, whisk together the dressing ingredients until well blended. Remove the corn kernels from the cob with a knife. Blanch the kernels in boiling water for 3 minutes. Drain and rinse under cold water. Add the corn, basil, red pepper, onion, and tomatoes to the bowl with the dressing. Gently toss to coat. Divide the baby salad greens among individual salad plates. Top the greens with a portion of the corn mixture. Add some of the crab meat on top. 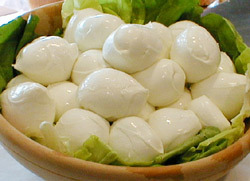 Serve immediately or refrigerate until serving time. Combine vinegar, honey, mustard, and 1/4 cup of oil. Season with salt and pepper and set aside. In a large skillet heat the remaining 1 tablespoon of oil. Add the garlic and shrimp and cook over medium heat until the shrimp are pink, about 2 minutes per side. Transfer to a bowl and cool slightly. Add the red peppers, onions, and chives to the bowl. Pour the vinaigrette over and toss well to coat. Spread the spinach leaves on a serving platter. 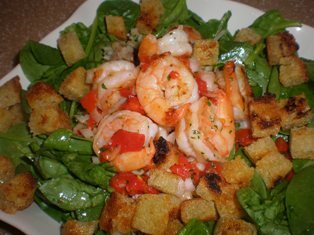 Mound the shrimp mixture in a middle of the spinach. Scatter the croutons around the shrimp mixture. Serve. 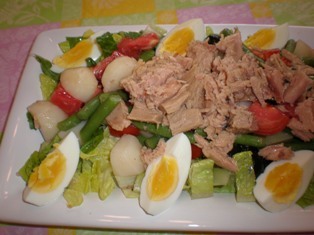 Nicoise Salad is a classic French recipe but variations of it are found throughout the Mediterranean region. 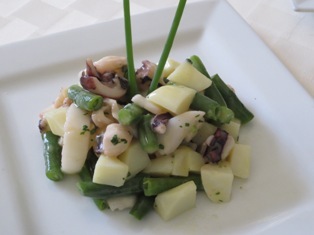 It is named for the tiny black olives, nicoise olives, that are one of its ingredients. This is a great recipe to plan ahead for, when you're cooking green beans and potatoes during the week, make extra for this salad and most of your work will be done. If you can't find nicoise olives substitute a good black olive. Place Romaine, potatoes, beans, and tomatoes in a bowl. Pour the dressing over and gently toss. Put the greens on a serving platter. Top with the tuna, eggs, and olives. Serve. 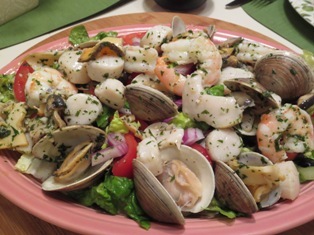 This is a quick and easy meal for a summer evening. You can add anything extra that you like to the basic ingredients. 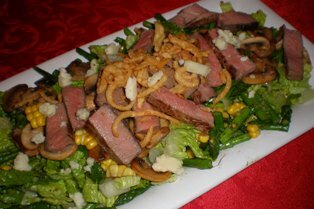 When I made this salad I had one ear of cooked corn in the refrigerator, so I added it. You can make our recipe for Crispy Onion Rings or you can use canned French-fried onions; or you can leave them out and add some crispy croutons. Grill the steak and allow to rest 10 minutes. In a small skillet, saute the mushrooms in the butter until golden. Place the asparagus on a plate with a little water. Cover and microwave for 1 minutes. Drain and rinse under cold water. Cut the asparagus into 1-inch pieces. If you are adding the corn, remove the kernels from the cob with a knife. Put the lettuce pieces in a bowl. Add the dressing and gently toss to coat. Spread the lettuce on a serving platter. Add the mushrooms, asparagus, and corn over the lettuce. Slice the steak and arrange it on top. Top with crumbled Gorgonzola cheese and fried onion rings. Combine the milk and hot sauce in a wide shallow bowl. Add the onion rings, toss to coat, and allow to sit for 30 minutes. In a another shallow bowl, combine the flour, baking powder, and salt. Add about 1/2-inch of oil to a large skillet over medium-high heat. Dip the onion rings in the batter and carefully add them to the hot oil. Don't crowd the rings in the skillet or they will not brown properly. Saute for about 2 minutes per side or until the batter is golden brown and crispy. Transfer the cooked rings to a paper-towel lined plate to drain. Season the rings with salt and serve hot. In a blender, combine the ice cream and amaretto. Blend until smooth. Serve in a cocktail glass topped with a maraschino cherry. Pour the vodka, amaretto, and orange juice into a tall glass filled with ice. Add a splash of club soda. Garnish with an orange slice. Combine the sugar and water in a saucepan. Bring to a boil. Cook the mixture until the sugar dissolves. Remove from the heat. 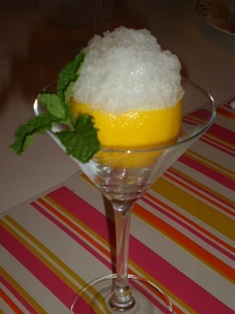 Stir in the Limoncello and lemon juice. Cool to room temperature. Transfer to a shallow pan and place in the freezer. Grilled oysters are a smoky summer favorite. Cook delicious oysters on the grill or stovetop with this cast iron oyster pan. Featuring twelve oyster-shaped depressions, it’s also perfect for holding chilled oysters on the half-shell.